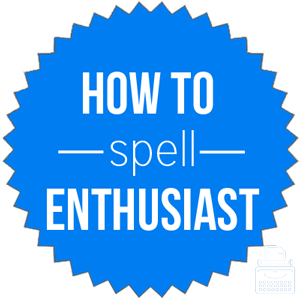 Spelling of Enthusiast: Enthusiast is spelled e-n-t-h-u-s-i-a-s-t. Definition of Enthusiast: Enthusiast refers to a person that is full of enthusiasm and is strongly attached to a cause, object, pursuit, or interest. An enthusiast is full of excitement about something and might be totally absorbed in a given interest or cause. Pronunciation of Enthusiast: Enthusiast is pronounced en-thoo-zee-ist. The skiing enthusiasts met at the chalet for their annual retreat. She calls herself a fitness enthusiast but I think she is a bit obsessed. By adding “-ic” to enthusiast, the adjective enthusiastic. Billy is an enthusiastic student but he is struggling to achieve grades that match his zeal for learning. Prior to this most recent scandal, they were enthusiastic supporters of the president. While there are no common phrases that use enthusiast, there is one that uses the word enthusiasm which is the root of the word enthusiast. Curb your enthusiasm: control or limit your enthusiasm, excitement, or interest. According to Merriam-Webster’s, this word was first used in 1570. This word comes from the Greek word enthousiastes, meaning possessed person, which is derived from enthousiazein, meaning to be inspired. There are several synonyms for the word enthusiast. Some of them have a more negative connotation than others. Keep this in mind when selecting a word to replace enthusiast. The word enthusiast refers to a person who is very excited about or interested in a particular subject.